With so many possible side hustles available in today’s gig economy, how do you decide which to choose? Today, I want to make the case that driving with for a rideshare company is a plausible choice for several reasons. But there are also some major distractions that you should be aware of before signing up. My name is Josh Overmyer. I’ve completed over 2900 rides as an Uber/UberEats driver-partner since 2014. I know what you’re thinking: “That’s a lot of rides!” It is. And I’ve learned a lot in that time. Here are my biggest takeaways from four years as a rideshare driver. Here’s the good news. You likely already have the knowledge and equipment necessary to be a rideshare driver! All of these services are app-based and run on a smartphone, by drivers like you who successfully navigate their communities daily. You probably already know where the popular hang-outs are located, how to get around on your city’s streets, and maybe even alternate routes when roads are backed up. As with any independent contractor gig, the amount and timing of the hours you drive are completely up to you, within regulations. Some people will be comfortable driving the late-night crowd, which can be lucrative for rideshare drivers because of increased demand when passengers may have been out drinking. Other drivers may stick to daytime hours and handle a more business-like crowd of people heading to/from jobs, doctor appointments, church, the grocery or the airport. Since your pay will generally be influenced by the number of trips you complete, when you need to make more money, you’ll probably want to drive more hours. Some of the networks now allow the driver to set a destination and get trip requests heading in the same general direction. This helps you to maximize both your time and mileage driven for the maximum possible gain, since you’d be driving those miles with or without a rideshare app running on your phone, such as your daily commute or when you are running errands. Speaking of maximizing time and costs, driving rideshare could allow you to turn certain everyday life expenses into qualified business expenses. As I mentioned above, you’ll need a smartphone with a data plan, which you probably already have. Now it could be a deductible business expense! Miles driven or other driving expenses could be deductible as well, but you’ll need to keep meticulous records. 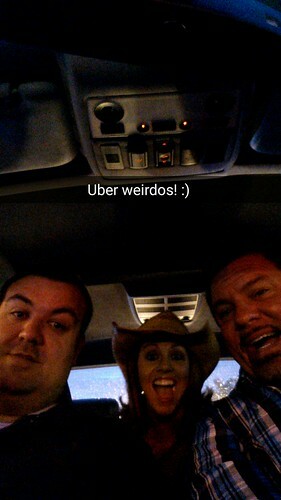 There are some downsides to becoming a rideshare driver. Simply driving with a rideshare company means extra wear and tear on your vehicle. Every additional mile you drive is one less mile that your car will last over the long-term. Extra driving means more fuel costs, more wear and tear of consumables such as tires & brakes, and you’ll need more frequent oil changes. As a result of all these extra costs and wear on your vehicle, you may face the additional cost of replacing your vehicle sooner than you had previously planned. A good way to think about rideshare is that you are force-depreciating your current vehicle, which is to say you are extracting value out of your current vehicle to hopefully put money away for your next replacement vehicle. Here’s another thing to consider: inviting total strangers into your personal vehicle. From my experience, most passengers will be normal, everyday people just going about their lives: trips to school or work, to the grocery store, church, or to the airport (or beach in my community). But they are still complete strangers, getting into your personal space, and often strangely sitting right behind you, the driver. It can be creepy! Even worse are the strangers getting into your car who are not on their best behavior. Some are simply loud and obnoxious, and you get used to that from the young twenty-somethings. Some have spent hours at a cigar bar and reek of cigar smoke that permeates your car’s interior and the smell can linger for days. Worse yet are the drunks who can’t handle their liquor; sometimes you’ll be lucky and they’ll give you enough warning to pull over to the side of the road — but other times they’ll make a mess in your car. You might have read the last two paragraphs and decided that you don’t want to deal with unruly passengers but would still like to run a side business doing food or parcel delivery. I’ve delivered some food orders with Uber Eats, but I ended up with very smelly foods that would stink up my car just before a typical passenger Uber trip, and I had orders that included ice cream or milkshakes that weren’t sealed properly by the restaurant, resulting in a sticky mess. I had a trip that took me upwards of 40 minutes to complete from the time of food pickup to delivery because the restaurant didn’t have the food ready and the recipient’s phone was dead, and for my troubles I made $6…before costs. Also remember that you’re purposely placing yourself in traffic, which we all hate. Not only do you sit there idling, wasting time and fuel, but it drives up your blood pressure and stress. You’re also more likely to get involved in a fender-bender when there are more vehicles on the road, and when you are rushing to a pickup or trying to find a convenient parking spot near the food establishment, so you don’t waste too much time circling the block. Even when you aren’t in bumper-to-bumper traffic, you may experience eye strain from constantly searching for obscure addresses or watching for pedestrians in congested areas such as downtown, at concert venue, or in entertainment districts. Combined with low-light situations, this makes you more likely to end up in an accident. That’s a long list of pros and cons. After all of that — and after four years of driving rideshare — what’s my overall impression of this side hustle? Rideshare is a pretty easy gig to get started in — but it won’t make you rich, despite what the radio and TV commercials were telling us all a few years ago. After all operational costs are considered, almost anything else you could think of trying would pay more! That said, rideshare driving could be a good fit for someone in a temporary cash crunch and who isn’t worried about the longer-term impacts to their transportation budget. As for me, I stopped driving rideshare after I got a new higher-paying day job last year. 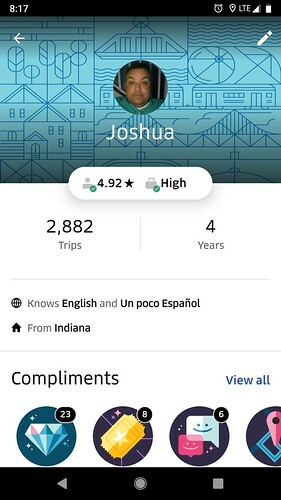 If you’d like to read more about the ups and downs of my 2,900+ trips as an Uber/UberEats driver-partner, check out the three-part series about my first side hustle, and why I ultimately decided to quit. The post The pros and cons of becoming a rideshare driver appeared first on Get Rich Slowly. Hi I am Michael Traylor I am 28 years old. I am a digital marketing expert, offerig my services on different freelacing sites.